Montclair-area residents looking to remain in their homes, but in need of financial assistance or companionship, are coming closer to having another option. Earlier this year, HomeSharing Inc. launched in Montclair. The service, geared toward senior citizens, was provided to Montclair and neighboring municipalities for the next three years via a $227,000 grant from Partners for Health. The service matches providers, or people looking to open up their homes, with seekers, or people seeking to move into a home. An assigned social worker will provide assistance. Melissa Braxton of HomeSharing the social worker in charge of the Montclair area. According to Braxton, HomeSharing is focused on outreach in Montclair, and establishing a presence in the other municipalities included in the grant: Bloomfield, Glen Ridge, Cedar Grove, Verona, Caldwell, Clifton, Essex Fells, Fairfield, Little Falls, North Caldwell, Nutley, Roseland, West Caldwell and West Orange. The benefit in working with a large, connected area, according to Braxton, is that it offers a greater pool and better opportunities to match potential providers with potential seekers. Braxton, with the help of a colleague, is identifying potential clients. In addition to visiting the area daily, Braxton said that she is cold-calling houses of worship, elder-law attorneys, and geriatric physicians to establish a network base. Though she has received many calls from prospective seekers, Braxton said that HomeSharing is a new concept to many potential providers and that education is important. Braxton will be speaking about HomeSharing in a care-giving preparation seminar open to the public and rganized by the African American Heritage Association on Saturday, April 25, beginning at 11 a.m. in the Montclair Public Library, 50 South Fullerton Ave.
People interested in contacting Braxton directly may call her at 609-379-5761 or email her at homesharing4@verizon.net. Katie York, project director for Lifelong Montclair, told The Montclair Times that she has had an initial meeting with Braxton and intends to hold regular meetings in the future. 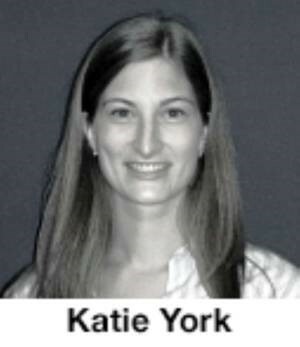 Thus far, York said, the focus has been finding different organizations that may be able to refer people to the service. Verona Health Department Program Coordinator Connie Pfeiffer told The Montclair Times that there is a desire among Verona seniors to stay in their homes or downsize and stay in Verona. Being able to stay in an area where their family, friends and physicians are located is important to local seniors, said Pfeiffer, adding that apartment options are pricey in the area. Pfeiffer said that HomeSharing is a new concept for many people in the area, including herself. While noting that the service may not be a fit for everyone, Pfeiffer said that it is important for local residents to be knowledgeable about the offering if they seek a way to stay in Verona but are in need of additional income or companionship. On Wednesday, May 6, a presentation on HomeSharing will occur in the township’s senior meeting at the Verona Community Center, 880 Bloomfield Ave. Pfeiffer said that a video on HomeSharing may subsequently be put on Verona’s online video station, VTV.